Godfrey of Bouillon. 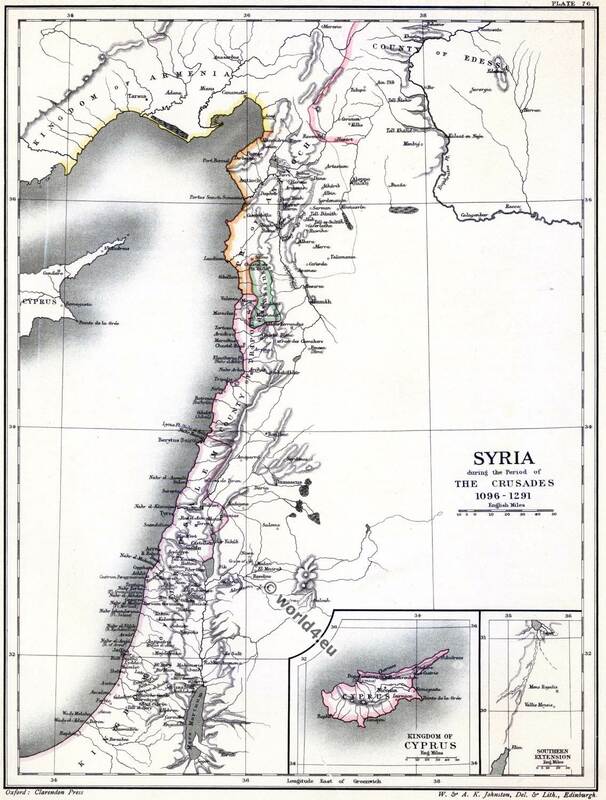 First King of Jerusalem. 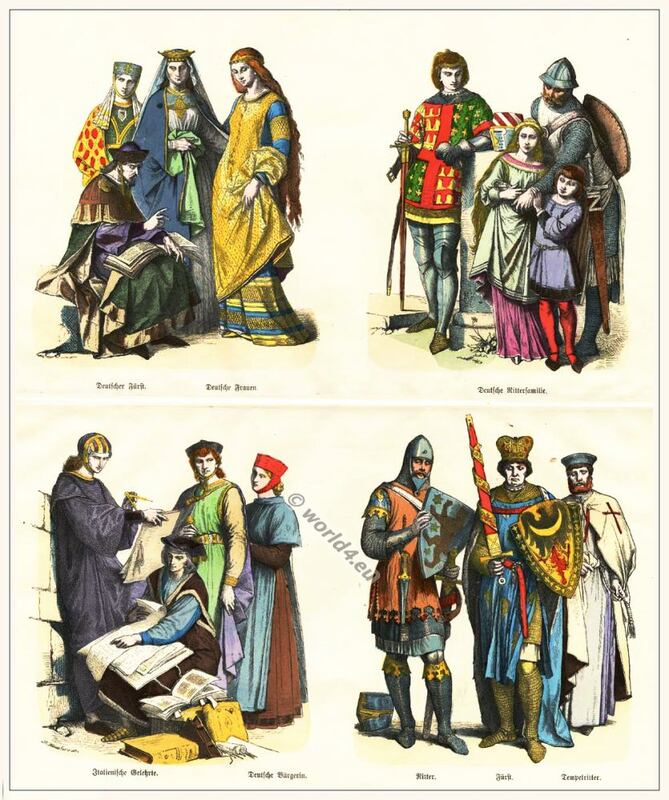 This entry was posted in 11th Century, France, Middle Ages, Military and tagged Crusaders, Gothic costumes, Knighthood, Medieval costume on 5/23/15 by world4. 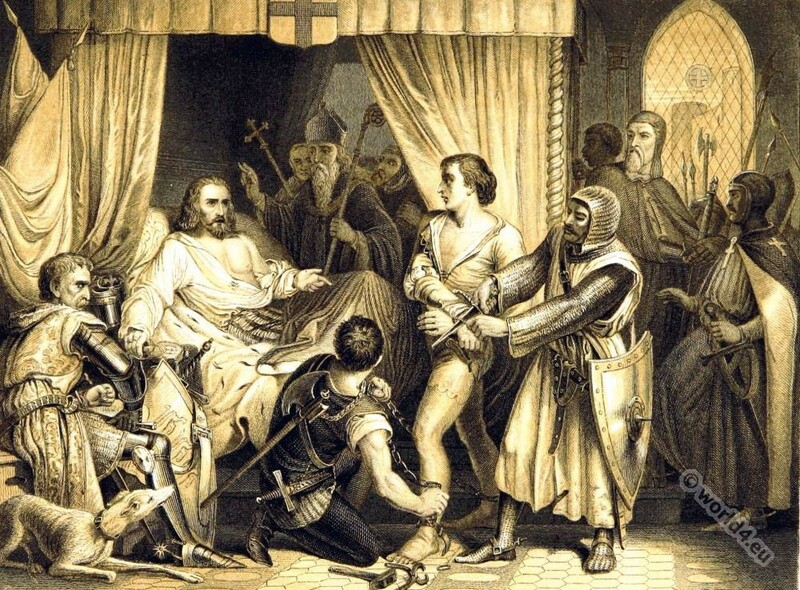 The death of Richard Coeur de Lion. Richard Cœur de Lion forgiving Bertrand de Gurdun. Who had attemted his life 1199. 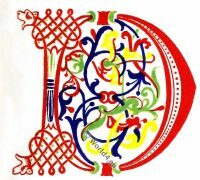 Richard I the Lionheart 1157-1199. 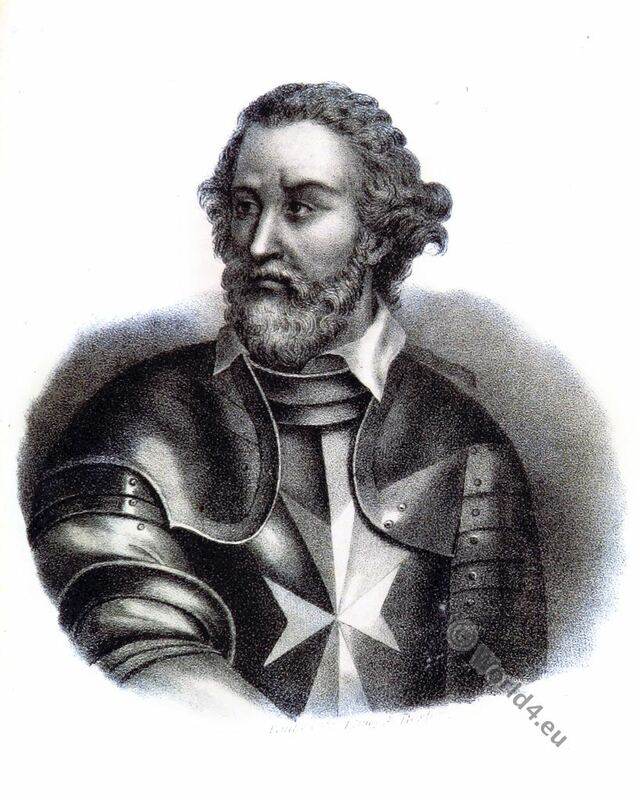 Richard Ier Cœur de Lion, actually Richard Plantagenet; was from 1189 to his death King of England. 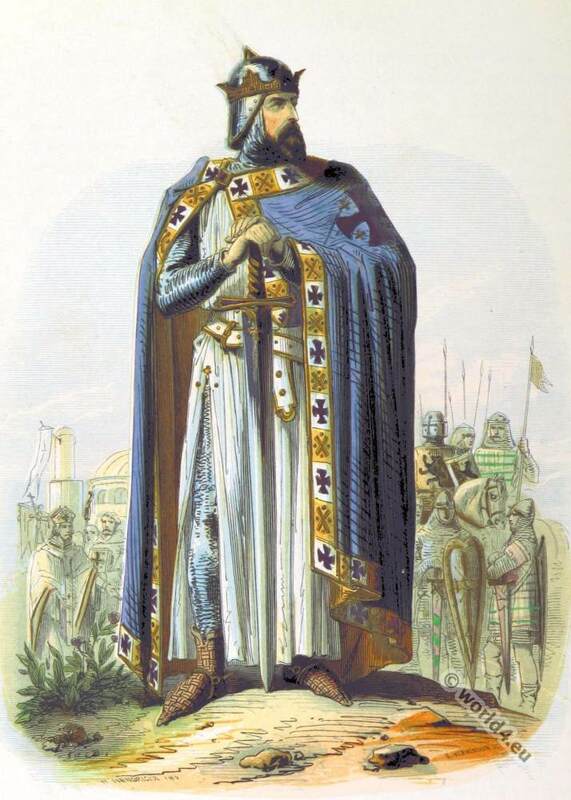 From 1172 to the year of his coronation was Richard Duke of Aquitaine. 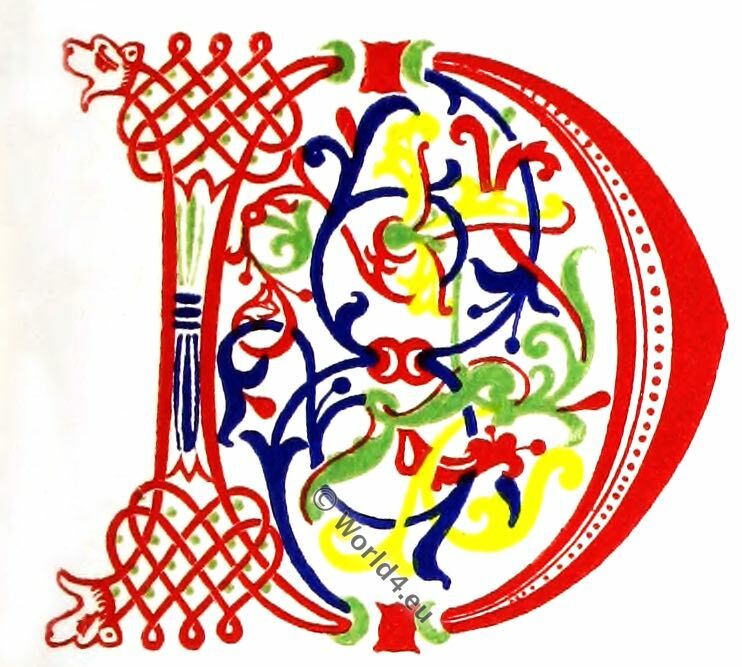 Then he held the title of Count of Maine, Duke of Normandy and Count of Anjou. Richard was the third son of King Henry II. 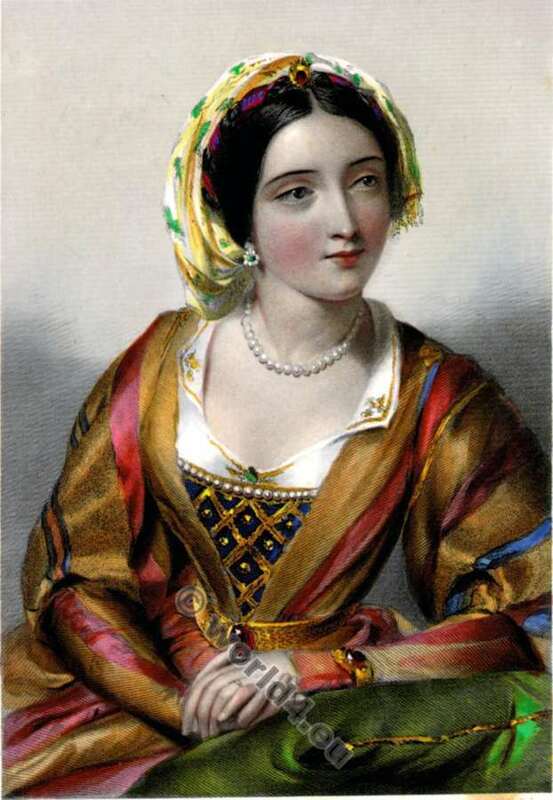 Of England and Eleanor of Aquitaine. 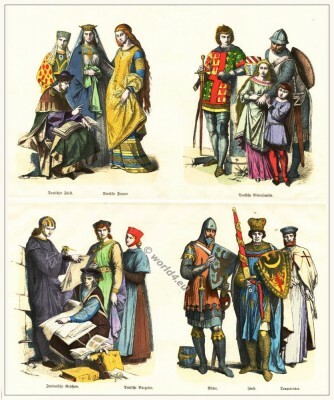 This entry was posted in 12th Century, England, Genre, Middle Ages, Military, Nobility, Plantagenet and tagged Crusaders, English history, Gothic costumes, Knighthood, Medieval costume, Pictures and Royal Portraits on 4/28/15 by world4. 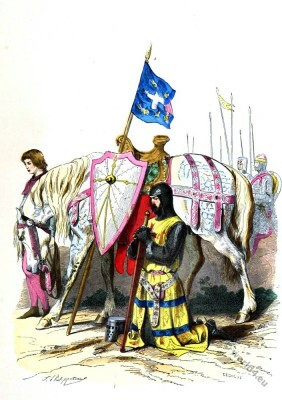 Knight Bannert praying before his departure for the 2nd crusade. Knight in armor of the second crusade 1145–1149. This entry was posted in 12th Century, France, Middle Ages, Military and tagged Costumes civils et militaires des Français, Crusaders, Knighthood, Medieval costume on 4/27/15 by world4. 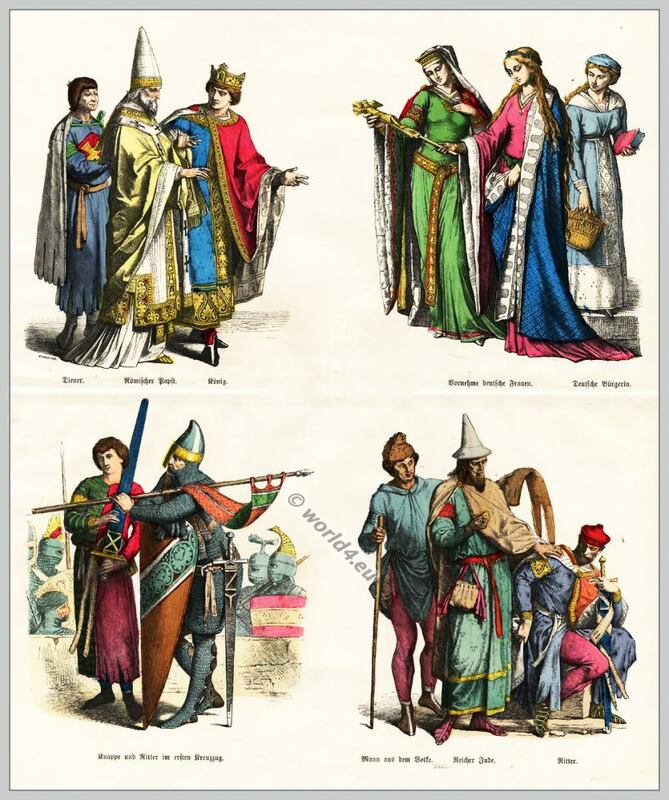 French Fashion History 1270 – 1350. The Crusaders. 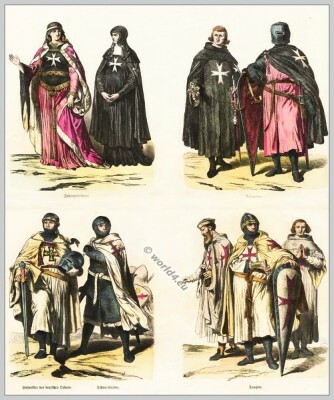 The influence of the Crusaders in the 13th to 14th century to the French clothing. 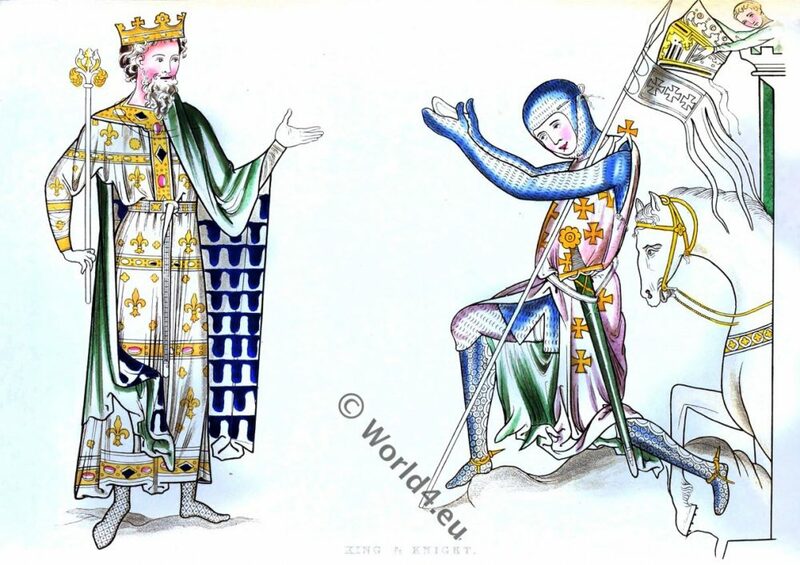 This entry was posted in 1350, 13th Century, 14th Century, Court dress, Ecclesiastical, France, French fashion history, Middle Ages, Nobility and tagged Augustin Challamel, Crusaders, Gothic costumes, Knighthood, Medieval costume on 10/9/13 by world4.